Typical cyclists.. Always after blood when drivers make honest mistakes..
An honest mistake? Whilst it may have been an honest mistake, a professional driver should not make mistakes which could cause serious injury or death to other road users. And it certainly shouldn’t be dealt with by a slap of the wrist. The Police and the CPS agree with that. Out for blood? A simple report to the police for a piece of dangerous driving and chasing up of it is hardly out for blood. From watching the video, it would appear that the driver was after blood as his driving was dangerous and colul have killed or seriously injured the young woman. surely you meant to type “always after justice when a driver nearly kills one of them”. There’s also the issue that for any other profession, there are higher standards for the “professional” than the amateur. That goes for professions from home decorating to dentistry. Yet when it comes to the roads, rather than show the benefit of the experience of driving full-time many days of the year, with the better judgement and wisdom that should entail, all you see is aggression and a complete disregard for the safety of others. All this talk about “mutual respect” cuts both ways, see. If you do want to complain about something, complain about the road design. Gaz: congratulations on a result. Without police intervention, helmet cams are a form of entertainment for the non-cyclists, and evidence of the city for the cyclists. If the police across the country (& scotland) start acting on that evidence, then drivers -especially professional ones- will eventually realise that they have a choice between showing respect for the cyclists, or getting enough penalty points that they can’t drive. The definitions of careless and dangerous driving do not seem to exclude “honest mistakes”. If someone makes an honest mistake they don’t plead ‘not guity’. You confuse metaphorical blood with the genuine article. Isn’t the blood normally that of cyclists? I wish this were true, but the fact is most cyclists do nothing about poor driving. If all cyclists were half as active as Gaz, we would get massive changes to improve cycling safety in London. TFL do seem to be improving slowly but there’s a long way to go. Don’t make mistakes then Wilson. What you call a simple mistake can cause a life to be lost. I used to cycle that route every evening on the way home from work when I lived in London. I used to go straight ahead towards Clapham North, as the vicitim in this incident was trying to do. I was extremely wary of that junction, because of the risk of precisely the thing the video shows happening. I used to wait in the bus lane until a clear gap in the traffic to pull out and go straight ahead. 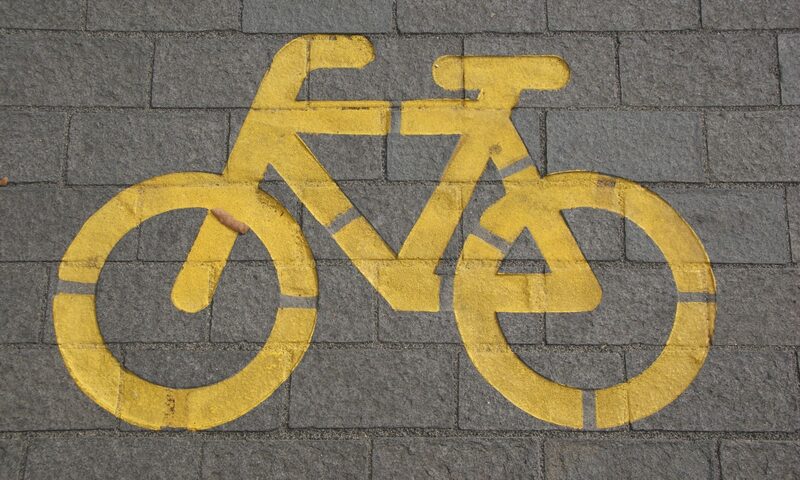 People – other cyclists, buses and so on – would get very irritated at my caution. But I’m now feeling more than anything that it was warranted. I’m not, incidentally, saying the victim should have ridden any differently. She did a good job of getting out of the way – and there’s very little one can do when someone comes from behind at speed and cuts across one’s path. Neither the van driver’s defence nor the moronic comment from Wilson McMosser above makes any sense at all. The van driver had no reason at all to suspect she was turning left. Left-turning cyclists stick to the cycle lane. If he sincerely believed she was turning left, why was he trying to overtake her while turning? That’s obviously profoundly dangerous. The honest mistake line, meanwhile, makes no sense at all. He could easily have killed someone who was clearly visible in front of him through a straightforward failure to meet even the most basic standards of attentiveness (let alone the fact he seems to be driving well above the speed limit). It was entirely predictable that that negligence and excessive speed could lead to a crash, which the cyclist avoided only through her own skill. I’ve argued in New York, where I now live, for the police to tackle precisely this kind of incident as a way of cutting road death figures: http://invisiblevisibleman.blogspot.com/2012/10/do-as-you-like-motorists-and-dont-blame.html I’m delighted to see the Metropolitan Police doing just that. Gaz, respect to you for following through and going all the way. Really it does make a difference and is appreciated. He mentioned his professional driving experience of over 20 years and training he was undertaking to drive bigger vehicles.<<NO!! The driver was in the wrong but that junction layout is ridiculous, Transport and roads are the ones needing fined too. Wilson cyclists aren’t out to “get” drivers, most of us are drivers, it’s just with honest mistakes we can lose our lives when we are on the bike. I think it’s the driver who needs to “watch himself out there”. If he’s ever in another incident then a room full of police have witnessed a threat, which will go against him even in a complete accident. Well done, you did better than my luck with Roadsafe when a liveried van driver chased me around Kingston trying to hit me. I just got contact from the police claiming harrasment from the van company after they failed to reply to my chasing as to what they had done about it and had posted the companies details on line. If you’re in charge of a motor vehicle, blame for incidents involving pedestrians (inc cyclist) will usually stay with the driver. Simply, if you collide with a bike or pedestrian, at a minimum say goodbye to your no claims bonus! This is bread and butter to no win no fee style legal teams so as a driver your life will be made a misery. A simple Google will reveal the extent of this problem. Endorsements for driving without due care and attention as well as dangerous driving can also be applied, these are serious and very serious. An endorsement on your licence is a conviction issued for committing an illegal act and needs to be declared where necessary and as a driver this could affect your chances of getting work! In short, as vehicle drivers we need to be aware of all around us as being in charge of of a vehicle gives us first responsibility for anything or anybody that we collide with. The lorry driver was giving a perfect demonstration of the MGIF mentality. 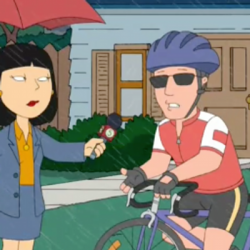 I Must Get In-Front of the cyclist, at any cost (to the cyclist). Great work Gaz, still a shame that you had to chase the police several times to get anything done, I think the cyclists of London deserve to have Roadsafe fully staffed, it doesn’t seem to have the manpower behind it right now. One thing that may have saved the cyclist’s life is that there are no guardrails or other obstacles. 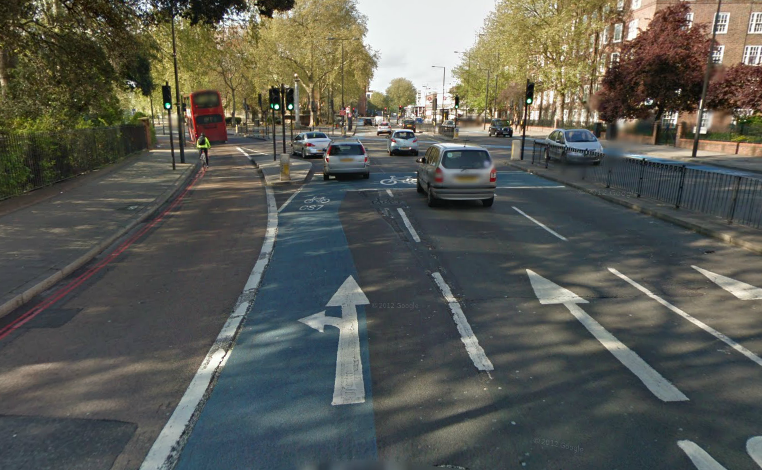 The road layout is definitely confusing and dangerous, but at many other similar junctions there are masses of guardrails so that cyclists have nowhere to go if a motor vehicle gets too close. Here, the cyclist was able to wobble to the left without hitting guardrails, kerbs or bollards and falling under the wheels. I often feel that guardrails at junctions add considerably more danger to cyclists. OIf course this here is still a very dangerous junction and the driving is bad, but I think the video is also an argument for removing guardrails and give cyclist escape space at junctions (which can be done quickly and cheaply).